Sb Accounting & Consulting presented Sb 360– innovative approach for providing up-to-date outsourced business services. 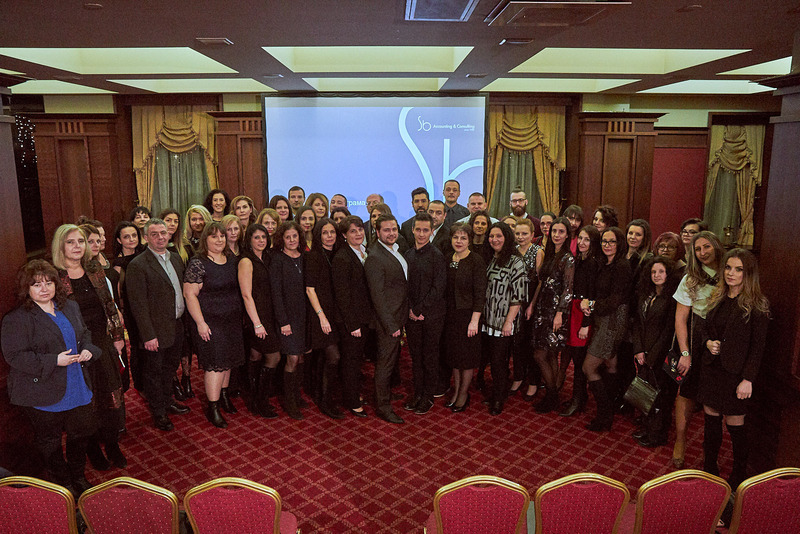 The event took place in Grand Hotel Sofia at 1st of December 2018. More than 60 guests had the opportunity to get acquainted with the modern way of thinking and the outsourcing solutions for every business. Among the guests were representatives of the company, team members and partners. Many of them participated in the presentation of Sb 360 and set out a position supported by real examples of their professional career. Sb 360 is an interaction between High Touch, Technology and Continuous Improvement. The approach follows core principles such as a High Touch of service based on personal contact and individual attitude, successful integration of advanced Technologies and development of good practices and Continuous Improvement. Using Sb 360 in combination with our company policies and recognized standards results in our primary goal – Hypercare and sustainable long-term partnerships. Sb Accounting & Consulting offers flexible solutions for your specific business. The company collaborates and supports businesses of different scale, scope of work and industry. The best in class experts give excellent guidelines for our clients. Thanks to 30 years of experience in the field of outsourced business processes, Sb Team offers an innovative and proven approach for providing services.